Egypt and Art > Tour Map of Egypt > Tour Philae Directory. 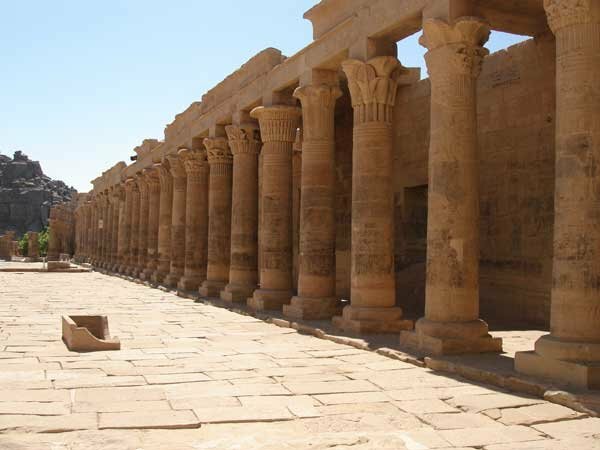 > The West Colonnade. This colonnade is from the Greco-Roman period. It is made of composite capital pillars. Composite capitals utilize different floral types and designs making each column an individual.